Given that it’s Easter time, the traditional beginning to the summer season in the U.K., it means that I’m once again able to enjoy the countless country gardens around and about. Many have seen our gardens on various TV shows and movies and they set the image of what people around the world imagine Britain and especially parts of England to be. In fact they give us British a view of how our own country should be but it isn’t natural, it only looks that way. Throughout history, much of Europe including the British Isles saw the rich and the powerful plant their gardens in highly ornate and formal patterns. Whilst this style lives on in some places, especially in period character homes in Britain and elsewhere, it has largely been supplanted by the landscape garden or English landscape park or garden. Originally the formal gardens were all walled and separated from the unruly and untamed countryside. What was inside was civilised, ordered and safe. Things changed quite suddenly in England when the fashion became to make everything look natural. However, it is not the case of letting everything grow and die as it would but instead to enhance the beauty of the natural environments around the house. Hills are heightened or levelled, valleys modified and often flooded to make ornamental lakes or rivers. Trees and woodland are planted to enhance the natural form of the land, often with gaps between the woods to allow the accidentally on purpose placed ruins or follys as we call them. 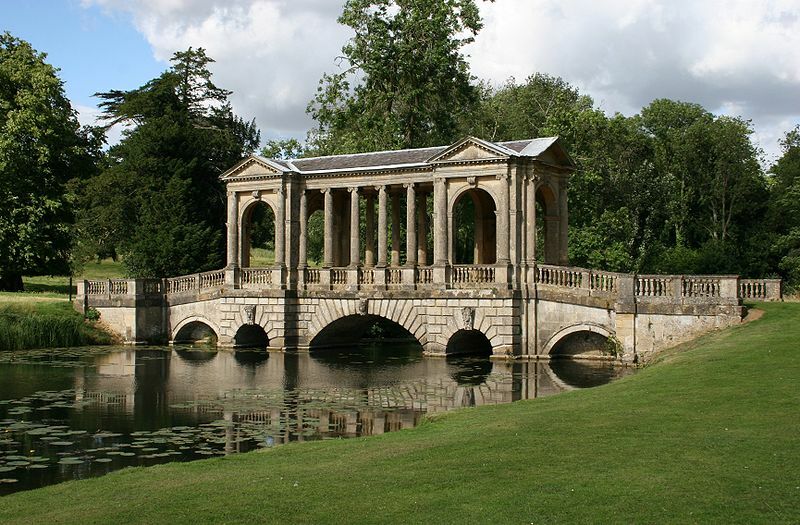 Greek and Roman architecture are important with bridges, temples and ruins scattered around with sometimes even hermits being employed to show off at garden parties and impress the rich friends just how wild areas of the garden were. Despite the Greek and Roman buildings, they are placed in such a way that the whole thing couldn’t be more British if it tried. Some of the inspiration for this came from the British visitors to China who came back full of wonder and excitement at the Chinese style of gardens. Another even larger influence was the desire to get away from anything that resembled a European garden. The formality of European gardens can be epitomised by the magnificent Versailles Palace just outside Paris. However to the English they signalled the absolutism of European dictators and nothing that a civilised Lord or Lady in England should aspire too. Things really took off at Stowe House in Buckinghamshire which was owned by Richard Temple, the First Viscount Cobham. He had been on good terms with the very firm Prime Minister, Robert Walpole and a leading party of the Whig (Liberal) Party but eventually he disagreed with the policies of the Prime Minister so much that he changed political party and had some of his prestigious powers stripped away from him. The Viscount was the first person to introduce landscaped practices to his estate when he hired William Kent and James Gibbs who began to naturalise the garden. He also got back at the Prime Minister in the most embarrassing way possible, he made fun of him in his newly designed garden. As well as having Greek and Roman statues and temples added, he created two sections of the garden one of which featured the positive aspects of Britain and one the negative aspects. The Temple Of Modern Virtues was deliberately left ruined with a statue of the Prime Minister missing his head! 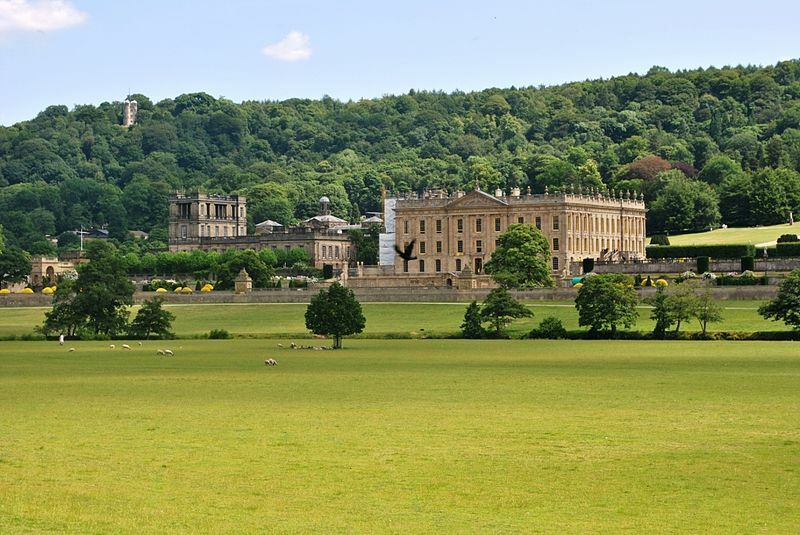 A relative close-up of the massive Chatsworth House and its entirely landscaped and enhanced natural gardens by Elisa Rolle. Fans of many films including The Wolfman will have seen a small part of these great gardens. This was the 18th century equivalent of bad-mouthing the Prime Minister or President on national news and making a “I hate Walpole page on Facebook” put together. Of course all the great and powerful people in the realm came to visit the gardens. The Prime Minister became a hated figure of ridicule and the idea of a naturalised landscaped garden took off. Perhaps the single greatest and most influential landscape gardener is Lancelot “Capability” Brown who lived from 1716-1783. From very modest backgrounds he changed the way of gardens all around the world. If your garden or local park as any form of naturalised planting, ornamental pathways, fountains, waterfalls, curvaceous lawns and more or as many mature trees as flowers then you can thank Capability Brown. All in all, Brown oversaw the creation or re-design of 170 gardens and his work so impressed foreign dignitaries that Jardin Anglais spread through France through the Englischer Landschaftsgartens in Germany to the fine homes in Russia and back throughout Europe to the rest of the world. If your garden or local park as any form of naturalised planting, ornamental pathways, fountains, waterfalls, curvaceous lawns and more or as many mature trees as flowers then you can thank Capability Brown. I’ve seen a few dozen of these gardens now so aren’t in the position to say which is the best but I can see the difference between Brown’s own gardens and those of the gardens he inspired and in my eyes Brown had an extra special gift. Some of the best include Chatsworth House in Derbyshire, Wimpole Hall in Cambridgeshire and the supremely beautiful Blenheim Palace in Oxfordshire. My favourite is the view from the palace across the rolling meadow to The Grand Bridge across the lake and then up the hill-side with the trees guiding your eye to the tall monument on the top. 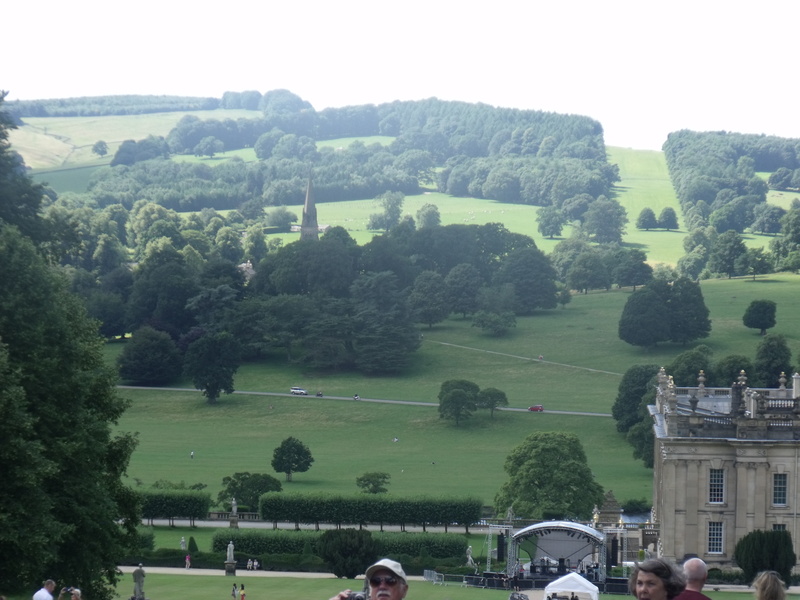 Sadly I can’t find a non-copyright photo of this amazing view but on this Easter weekend, if you imagine that you had died and gone to heaven and you open up your eyes then the view that you see will be the gardens designed by Capability Brown at Blenheim Palace. 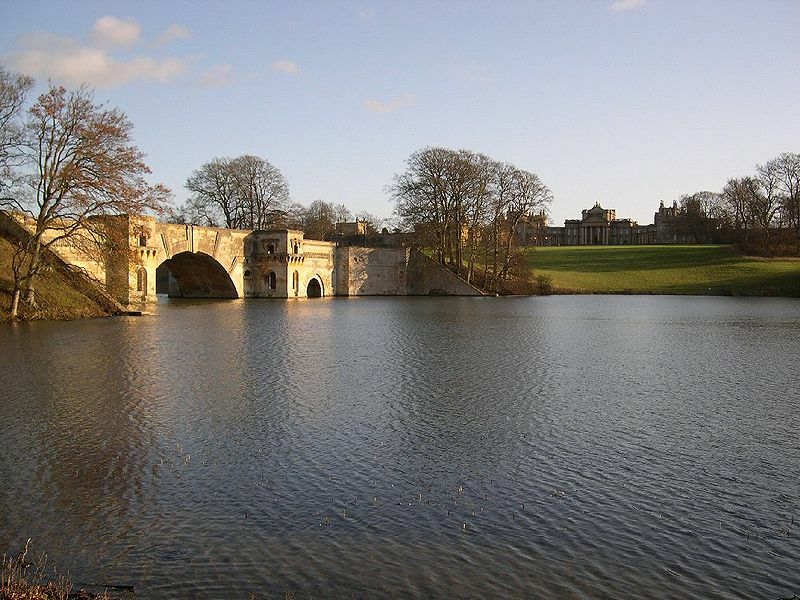 This entry was posted in Architecture, Culture, Heritage, history and tagged Blenheim Palace, Capability Brown, Chatsworth House, Culture, English Landscape Garden, Gardening, history, Life, national trust, outdoors, Stowe, Wimpole Hall. Bookmark the permalink. I really enjoyed reading this post as I had given a talk on the English landscape garden a couple of years ago. I think you could have given Repton more of a mention however. The rest was excellent. Gorgeous photos, Stephen. I guess I should say thanks to Capability Brown. I hope you have a wonderful Easter! Thank-you. If you ever come to the U.K. I’ll take you to the spot I think has the best view. It’s incredible that such a simple idea became so popular. Yes, Happy Easter to you too!